The NonViolence Project takes its symbol from a sculpture inspired by the shooting death of John Lennon. 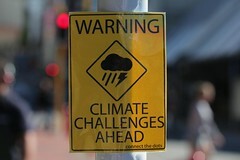 Photo via nonviolence.com. Browse the Internet to gather two or three news stories from the weeks following a recent mass shooting in the United States. What claims are made in these stories about the causes of mass shootings? What calls for change are made by victims’ families, politicians, experts, or others? What policies are suggested to address mass shootings? Next, read “A Broader-Based Response to Shootings” by Chis Uggen and think about how social science evidence compares to media reports. What does the evidence suggest we should be doing to address these crimes? Our own Hollie Nyseth Brehm recently wrote a special feature for TSP entitled “The Crime of Genocide.” The article is a short and concise summary of the conditions that can lead to genocide, as identified by social science research. This would be a great article to use in a course on crime, as criminologists have largely neglected the study of genocide. It’s a great introduction to the topic! 1. What does the word genocide mean and how did the word come to mean what we understand it to mean today? 2. Why have genocides generally been ignored by criminologists? What do they have in common with other types of crime more often studied by such scholars? 3. What does the metaphor “genocide doesn’t come like rain” mean? Why is this the case? 4. How do psychological and individual factors matter (or not matter) when trying to understand which people become perpetrators of genocide? 6. How can the international community play a role in preventing and stopping genocide? How do connections to other countries matter? We recommend this great documentary, The Road From Crime, about desistance from crime to show in any crim or intro class. 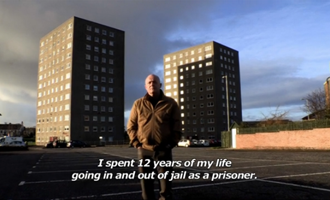 The documentary follows Allan Weaver, a Scottish ex-offender turned probation officer as he explores how individuals like himself get caught up in the criminal justice system, and how some are eventually able to leave a life of crime behind. He discovers that “the system” actually leads to more re-offending, because it encourages labeling and stigmatization of ex-offenders. The film references the research of American criminologists John Laub and Robert J. Sampson and interviews John Laub and Faye Taxman. Overall, it is a compelling and passionate discussion about what offenders need to become ex-offenders. To listen to an interview with two criminologists who worked on the film (and its parent project, Discovering Desistance), please visit our Office Hours section. The Office Hours Team recently sat down with Dr. David Garland, professor of sociology and law at New York University. He spoke with the team about his most recent book, Peculiar Institution: America’s Death Penalty in the Age of Abolition. The podcast, found here, would be a great assignment, as it provides a concise review of key arguments he makes in the book. Below are a few discussion questions you could use in class or assign with the podcast. 1) In Garland’s eyes, why is the death penalty a peculiar U.S. institution? 2) What reasons are usually given in favor of the death penalty in the U.S., and what does Garland think about them? 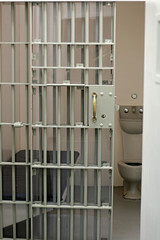 3) Are there patterns found among defendants on death row? 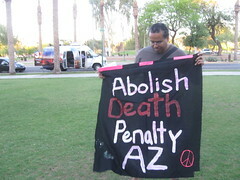 4) Do you have an opinion about the use of the death penalty in the U.S.? If so, what is it? 5) What is one thing you learned from this podcast? 6) Conduct some quick online research. When did states start outlawing the death penalty? How many states allow it? 1. Why might some people expect that there is a relationship between the amount of time spent in prison and reoffending after release? 2. Snodgrass talks briefly about his methodology. What makes this type of study tricky, and what did he and his colleagues do to get around this? 3. What are the policy implications of the results found in this study and similar studies? Below is an activity written by Amy Alsup, a Ph.D. student at the University of Minnesota. The activity utilizes a clip from The Wire to teach about crime and deviance. This scene illustrates a turf war that occurs between two rival gangs in Baltimore. Members of the Barksdale crew, featured at the beginning of the scene, find rival gang members dealing drugs on the block that they normally occupy. After a brief confrontation, a gunfight ensues. A shot is fired through the window of an apartment building, where a mother finds her son dead on his bedroom floor. Stringer Bell, who is running operations while gang leader Avon Barksdale is in jail, is angered by the carelessness of his crew and orders Bodie to take a time-out. Bodie and his crew dispose of the guns by dumping them in the water. This clip could be used to discuss crime, police surveillance, drug wars, gangs and general difficulties and hardships of life in impoverished communities. 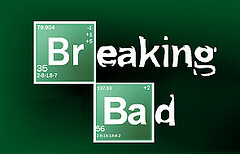 The rival gang scene could be shown to introduce the politics of the underground drug economy. It would provide an excellent introduction to a lecture, discussion or active learning exercise about social conditions which lead to criminal activity and the consequences of crime on the wider community. Begin class with a brief lecture on theories of crime and deviance and social conditions in impoverished communities that lead to criminal activity. Show the clip and have students break up into small groups to discuss what actions they would take to improve conditions in this community. Ask students to (1) identify and list five problems in the Baltimore community (ie: drug dealing, gun violence, poverty, dangerous conditions for children, etc). (2) Discuss 5 ways in which these problems could be prevented. What caused these problematic conditions in the community? Do you think problems arise due to cultural factors, social inequalities, or individual decisions? Why? Then, ask students to identify the solutions they provided. Challenge students to use theories about crime and deviance to rationalize their choices.